We love renting apartments around the world. It gives us the opportunity to live like a local and spend a bit of extra time in a place so that we can learn more about it and understand the culture a little bit better. But it’s also a lot of fun to have multiple “homes” all around the world. As full-time travellers and digital nomads, it feels great to unpack our stuff, hang up our clothes and actually spread out a little bit. We love hostels, hotels, B&Bs and guest houses, but after a while we just feel like we need a place to call our own. Sure, we have to do our own dishes, and clean up after ourselves (apartments rarely come with daily cleaning / turn down service! ), but it’s worth it to enjoy a piece of “normal” life for a few weeks or a few months. 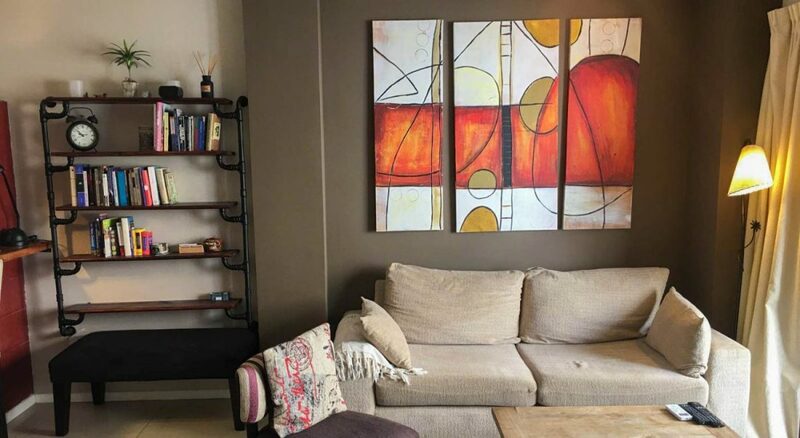 We’ve done a pretty good job of finding great apartments in many different countries, so today I thought I’d share the ones that stood out, tell you how much they cost, how we found them and show you some images so you can get an idea of what you can afford / enjoy in different parts of the world. Here’s a list of a few apartments that we’ve rented during our time travelling & living abroad. *Note, as with all of our articles, unless otherwise stated, all prices are in US Dollars. You will get $25 OFF your first booking of $75 or more by simply clicking here and opening a new account. How We Found It: Help from school recruiters. Our first experience living overseas was when we decided to stop travelling for a little while and teach English for China for one year. The school helped us to find this place by driving us around to look at numerous apartments. The school recruiters also went though a rental agency and we paid the rental agency half of a month’s rent ($160) to show us around. 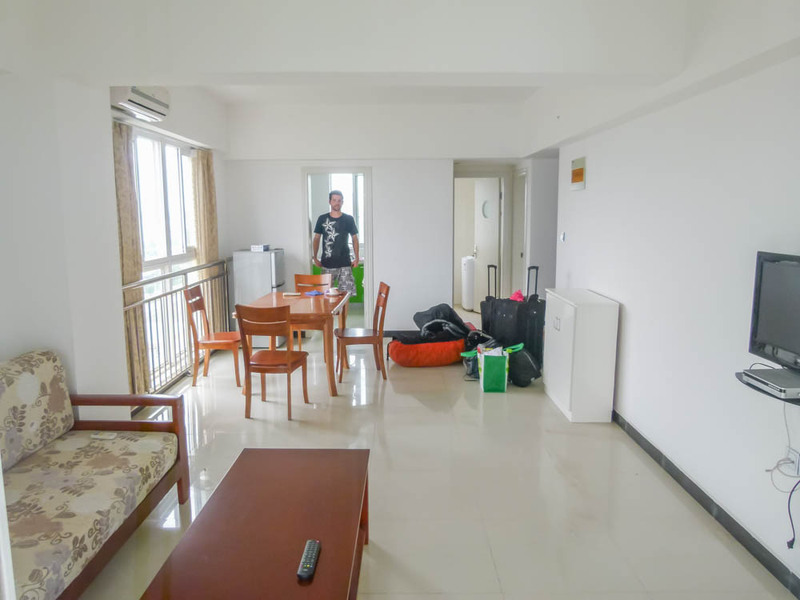 The first few places they showed us in Yangzhou were pretty basic and we were worried that we were going to have to live in a grubby place. But then they showed us a pretty nice one bedroom apartment and we were sold. The apartment was on the 8th floor and it was bright with tiled floors. The kitchen was tiny and the mattresses were paper-thin (as many are in China). The furniture was very basic, but we spruced the place up with some of our travel photos on the wall and some nice plants. The apartment was close to the school that we worked at and it was also close to some main amenities like grocery stores, a mall and a nearby lake that we always walked to. 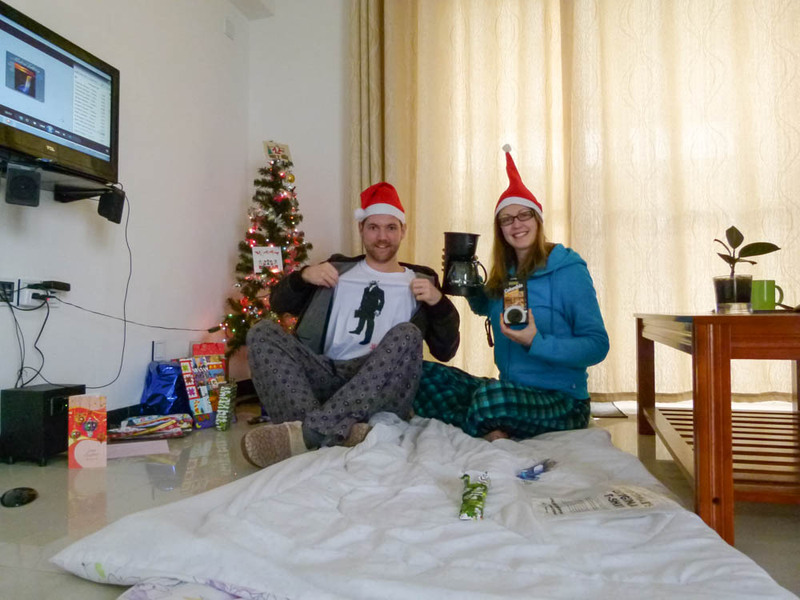 We loved our time in China and our little apartment will always have a special place in our hearts as our first “home” abroad. We only spent a few weeks in Greece, but we realized that we could save some serious money by booking apartments on Booking.com very early. So we did some advanced planning and we got some great deals. 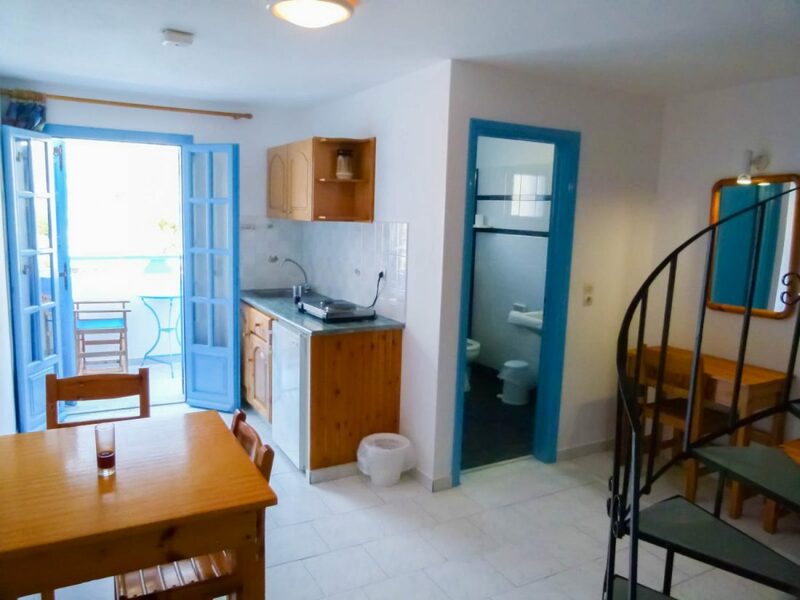 The apartment was called Sandy Villas in Perissa, Santorini was a loft style apartment within a hotel-like complex complete with a pool and restaurant. The only thing that made it an “apartment” was a small hot plate, sink and mini-fridge. But the place was really nice and the family who owned the place was super friendly. They even gave us discounts on the big Greek meals that they made because they knew we were on a super tight budget. $18 / night for an apartment just a 10 minute walk from the beach was an incredible bargain for Greece. Sometimes it pays to travel in the shoulder season (we were there in March). Another one of our bargain deals that we found while travelling Greece was this little place called La Luna Apartments. The place was basic but spacious and only cost us 14€ / night ($15). Sometimes it pays to book well in advance on Booking.com and also to travel shoulder season. We based ourselves in this spot for a few days and drove around the island of Crete in our rental car. The apartment had a little kitchenette and a mini fridge. Probably not a place we would spend more than a couple of weeks in, but it was clean and pretty comfortable. One major draw back was that there were two single beds rather than one big bed! Click here to search for apartments on Crete, Greece. After spending 5 months travelling through Northern & Central Asia and Iran, we decided to move to Mexico to find an apartment and meet up with family in the small town of San Pancho. It took us a really long time to find a place here because we came just before the Christmas peak season and many places were booked up. After 4 days of calling apartments, looking online and even knocking on doors, we finally found a cute little traditional casita for just $240 / month. This place was a great deal, especially considering it was a large, 2 level, 2 bedroom apartment. 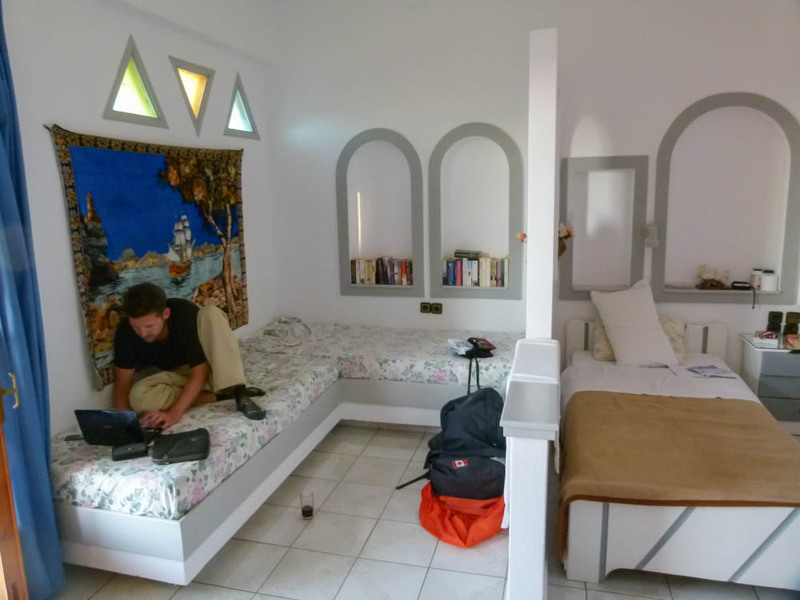 Some major downsides were no hot water and no wi-fi, definitely not ideal for digital nomads! But the lady who owned it was really sweet and it was in a very local neighbourhood. This is definitely one of our favourite apartments to date. 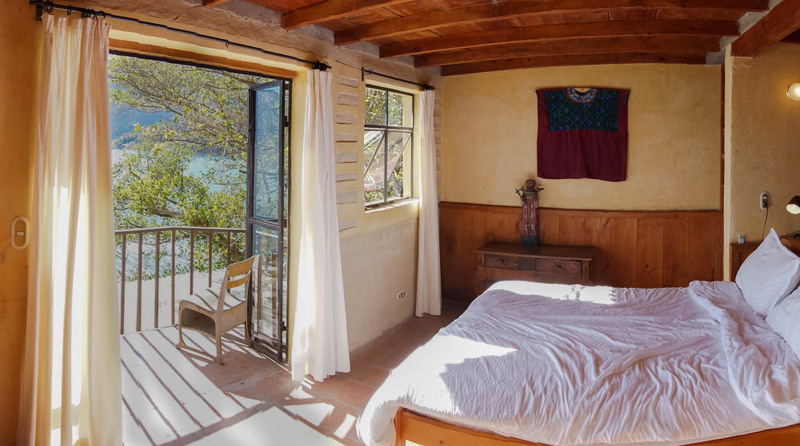 It wasn’t ultramodern, there was no TV and it was a (short) boat ride away from pretty much everything, but we loved our little lakefront casita in Guatemala. From our bedroom, which had a comfy queen-size bed, we had breathtaking views over the lake and the nearby volcanos. The rental included unlimited, free use of kayaks and the owner Armand and his family became our good friends. We would go wake boarding and boating every weekend with Armand and his kids and we often hiked into the village of Santa Cruz to get some exercise. 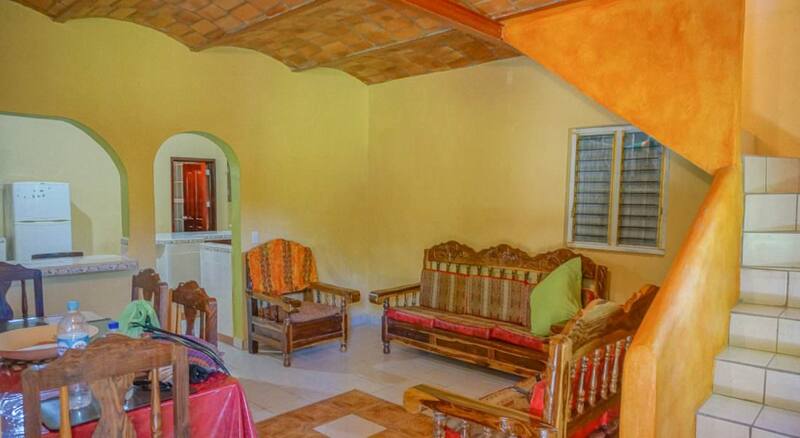 The setting was tranquil, the wi-fi was fast and the casita was well stocked, cosy and comfortable. The monthly rate even included a twice-weekly maid service and Maria did an amazing job of scrubbing down the flat. She even washed the dishes and wiped every nook and cranny. At the time, it was an expensive place for us, but with all of the perks we thought it was an unbeatable deal. There was no insuite laundry at this casita, but Maria also did our laundry for a small fee. 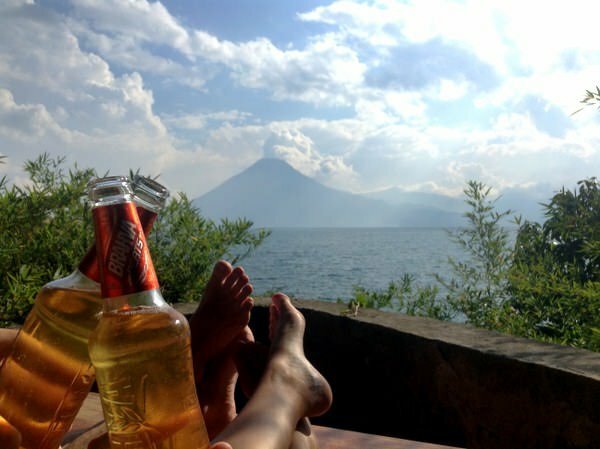 We would spend each night watching sunset on our patio overlooking the lake with some beers or a bottle of wine and a platter of cheese. It doesn’t get any better than that! This place is now on Booking.com (unlike when we were searching around!). To book this gorgeous spot and to learn more, click here. While we were travelling around eastern and central Europe in 2016, we started to get behind on work so we decided to book an apartment for 2 weeks in the lovely little seaside town of Split, Croatia. Our apartment was one bedroom, had insuite laundry, a nice LCD TV and was very nicely decorated. It was small, but cozy and was within a 15 minute walk from the beautiful old town of Split. Again we booked this place on Booking.com and found a great deal by booking a couple of months in advance. We really didn’t know anything about Split when we arrived, so we checked into our apartment and left right away to explore. It turned out that Split’s old quarter was one of the most stunning examples of Roman architecture we’ve ever seen and we never got bored of exploring the uneven cobblestone streets, grandiose cathedrals and hidden alleyways. To book this awesome little apartment on Booking.com, click here. To see a list of all accommodations on offer in Split, click here. How We Found It: At first on AirBnB, then direct. This was probably the most luxurious feeling apartment we’ve ever had. It was a one bedroom place, but the living room, kitchen and dining area was massive and it was set in a 200-year-old building. The interior was really well decorated with modern furniture and a nice big screen LCD TV. Our room was set in the back with a double bed (we wish it was bigger) and it was quiet so we had good sleeps. The apartment was just meters from the Mediterranean Sea, although we didn’t really have a proper view of the water. The living room was bright because there were huge floor to ceiling windows on one wall, which faced a charming back street. The internet was blazing fast, there was insuite laundry and the property owners were very attentive and helpful during our entire 2 month stay. We first found the place on Airbnb for nearly $300 more per month (because of Airbnb fees and cleaning fees). Luckily, I found the property management company though a few Google searches, contacted them directly, bargained a bit and got a really good deal. 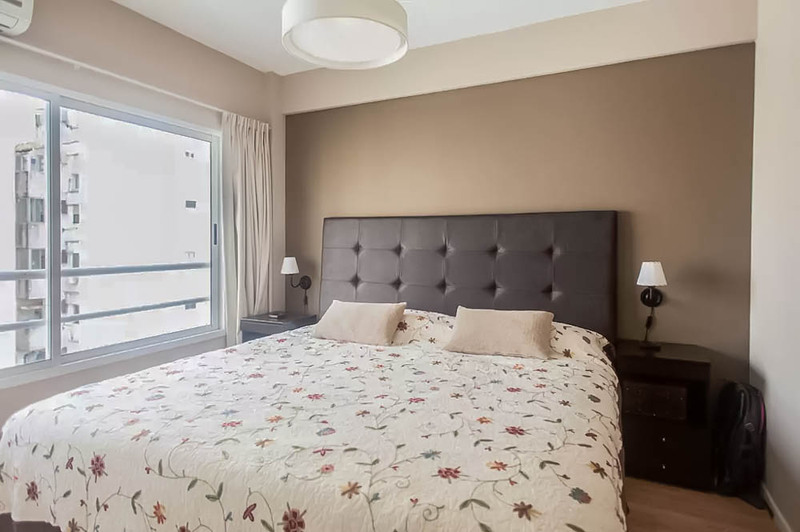 The apartment was definitely more expensive than we’re used to, but for a large, modern vacation rental in Sliema during shoulder season, it was a bargain. The first apartment that we actually booked on Airbnb, this beautiful little place was very nicely decorated and the owners (hosts) became our friends during our stay. It was definitely a small apartment, but it had a clever layout that maximized the space and it had a massive and extremely comfortable king size bed. There was no insuite laundry in this place, but there was a free laundromat just two floors up and the machines were always available. The apartment was in the Villa Crespo area of Buenos Aires which is very close to Palermo. We loved our little home and our neighbourhood was nice, but if we ever return to Buenos Aires we would probably stay in Recoleta or San Telmo neighbourhoods. We spent our time in Buenos Aires working on the blog (of course), going to the gym, drinking copious amounts of (delicious) red wine and eating way too much steak. The apartment was a good temporary home, but after 1 month we were ready to leave and get travelling again. As I’m writing this, we are currently staying in this apartment. When we saw this listing on Airbnb, we had to book it. 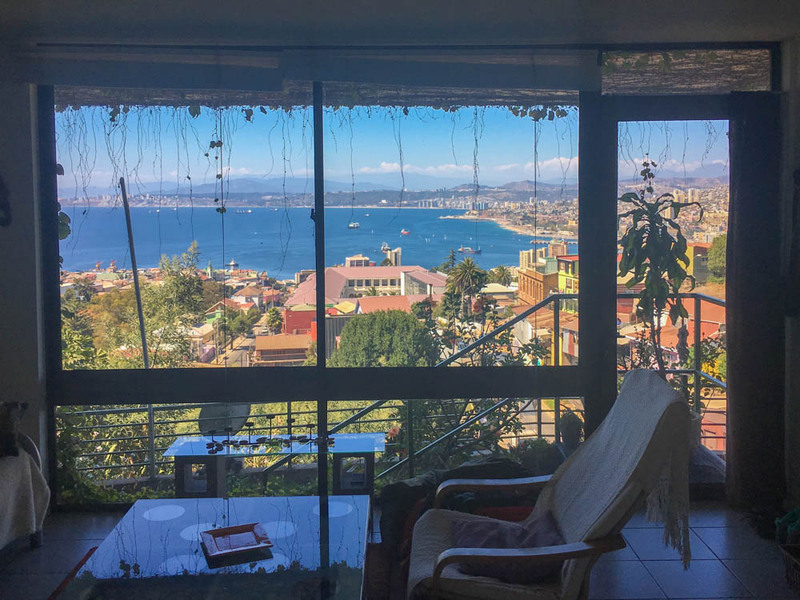 The apartment is incredibly bright and has unbelievable views of the Pacific Ocean! There is a great living room with two couches, a large dining room table with 7 chairs and a fully stocked kitchen (and I mean, it has everything). With a view like this one, it’s hard to get any work done! The bedroom has a comfortable double bed (wish it were a queen or king, but that’s minor), and a large bathroom with bathtub. The owners / hosts of this property are very attentive and are always available via Whatsapp or email to answer any questions we have. They even gave us a special discount on the property, and a welcome bottle of wine! The only downsides are that there isn’t any insuite laundry and the internet could be faster. We have found many little apartments all around the world and even though some of them were very basic, we always made them our own. We added plants, bought a few things and enjoyed the place as much as we could, whether it was for a few nights, weeks or months. A lot of people have been asking us how to find apartments around the world, so hopefully this post helped give you an idea of what a place can look like, what it costs and what you can expect living abroad in different countries. Where have your favourite apartments been? Do you have photos to show us? Please share in the comments below or Contact Us. Thank you so much for this wonderful article. I love to hear about places people have actually stayed at while traveling. It has a storehouse of helpful and important information that others cam use. I’ll be using your information in Santorini and Crete. 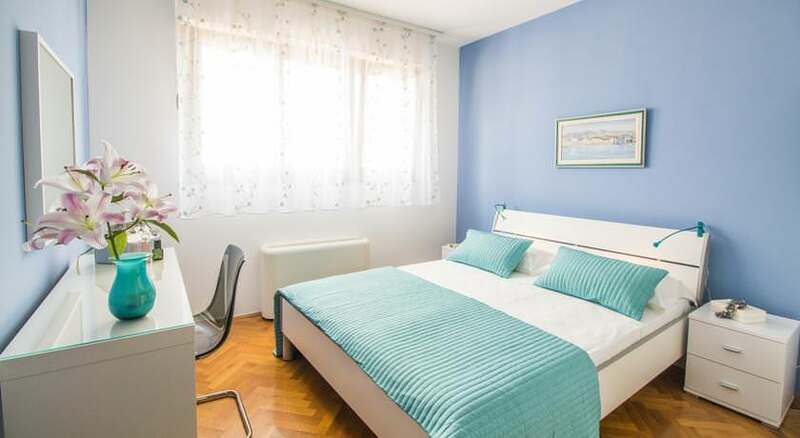 Do you have tips for service apartments in Vienna or any city in Austria and Prague? Thanks for reading! We’re glad you found the post useful. I don’t know of any places in particular for Vienna or Prague, sorry! Thanks for your article. It is really helpful. I assume the price is per apartment per night and that makes the prices good as you are a couple. Travelling on my own it makes it more expensive and so I am still debating my options. Also staying in an apartment is good from a work aspect but not so good for meeting people. What fabulous temporary homes you have encountered! Thanks for this. This is a great blog and I’m very happy to have found it. We’re going to Eastern Europe, including Prague, Dubrovnik, Plovdiv, and Greece for a month in the NH summer (we’re in New Zealand) so I’m enjoying doing the research. We do a lot of traveling as a family with our son, who has just turned 13, and sometimes one of our adult daughters. We almost always rent an apartment or cottage as a base. My favorite is AirBnB but my husband prefers Booking.com. He always looks at the map first and uses Google Street View. I mostly look for enough beds, including a double/queen for us and preferably some privacy for us and the boy, and a bath for my husband as that is his preferred thing. Laundry facilities and car parking are also important to us. Mostly I’m looking for laundry facilities as we travel with carry on only and are usually away for 4-12 weeks each time and the others are very interested in the internet capability, and because not all places automatically have free on site parking. We have also used Tripadvisor very successfully. 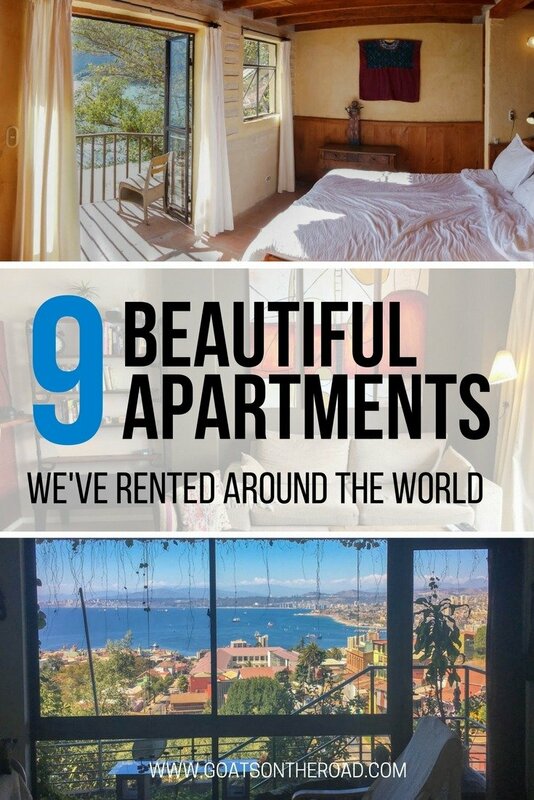 We’ve probably rented nearly 50 different apartments all over the world in the last 5 years and we have never had a bad place, and some have been amazing value for money. 99% of owners or property managers have been lovely people, helpful and kind. We had one lady in France who was difficult but the place was amazing :). We pay close attention to the reviews and the response to any negative reviews. I’ll definitly be using some of your info for our trip to Central America next year. Many thanks. Thanks for reading and commenting Peggy! It sounds like you and your husband have this booking thing down pat! Well done happy travels to Central America! Thanks for sharing the different location according to the state wise. I love this are “Guatemala”. My family live there. I know the apartments there are very cool and airy. Nice read Dariece Swift, Thanks! I would be travelling to Mexico in December month for Christmas Occasion. After reading your blog, I am pretty sure that I would find a good apartment for my stay.